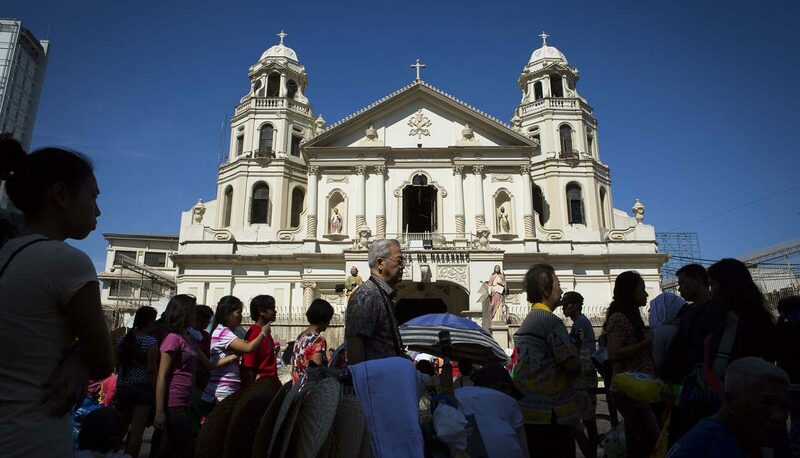 MANILA, Philippines (CNS) — Cardinal Luis Antonio Tagle called for church bells in the archdiocese to toll at 8 p.m. each day to protest the continuing spate of killings in the country. He said the tolling of the bells will “haunt the perpetrators of violence and killing to remember their victims, never to forget them,” reported ucanews.com. “The bells beckon us to remember the dead … and to ask God to remember them,” said a statement from the cardinal. Ucanews.com reported a Catholic priest and a broadcast journalist were the most recent victims of assassinations. Father Mark Ventura was shot to death after celebrating Mass in Cagayan province April 29. Cardinal Tagle invited the faithful “to pause, remember and pray” for Father Ventura, the second priest to be killed in four months. In December, Father Marcelito Paez was shot dead in the province of Nueva Ecija. “It’s sad that a priest was killed … and even if he’s not a priest, a person. Isn’t he a gift from God? Is it that easy nowadays to just kill and throw someone away?” asked Cardinal Tagle. Cardinal Tagle said the tolling of the bells is a call to everybody to commit to actions of truth, justice, love, and respect for God’s gift of human life and dignity. “The bells beg us to transform the mourning of our people into hope and peace,” he said. Archbishop Sergio Utleg of Tuguegarao has appealed to authorities for a speedy investigation into the killing of Father Ventura, 37. The priest was among those who opposed black sand mining in the province of Cagayan. “There have been too many murders already done with impunity in our country by assassins …. May this be the last,” Archbishop Utleg added. A day after the shooting of Father Ventura, assassins also shot broadcast journalist Edmund Sestoso in the central Philippine city of Dumaguete.